Swinton Lions Head Coach Stuart Littler is named as Ireland International Coach. Swinton Lions Head Coach Stuart Littler has been announced as the new Ireland International Coach ahead of European Championships. Littler represented Ireland 19 times during his career, including the 2008 Rugby League World Cup, scoring 10 tries. The former utility back took charge of the Lions just over 12 months ago, and will now lead Ireland in their campaign to qualify for the 2021 Rugby League World Cup. Ireland, then-captained by Liam Finn, won two out of their four 2017 Rugby League World Cup matches, including a 34-6 victory against rivals Wales in Perth. 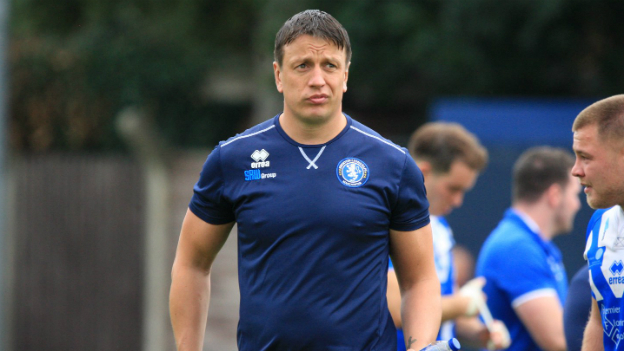 On the announcement, Swinton Lions Chairman Andy Mazey said “I speak on behalf of the board and everyone at Swinton Lions by congratulating Stuart on this appointment. Working with Stuart closely I see his qualities first hand as it’s pleasing that he has been recognised by others in the game. Mazey continued, “He is a leader of men and a very driven character so it’s pleasing for me to see that his qualities have been recognised. This is an opportunity that in my opinion will only serve to accelerate his development as a progressive young head coach. I can only see positives for Stuart and also for Swinton Lions and I’m delighted not just for him but the Littler family as a whole. Hopefully now he’s back in the camp we can call on the famous luck of the Irish moving forward. The Wolfhounds take on Scotland on October 28th at Morton Stadium, Santry, in their first step to qualifying for 2021.